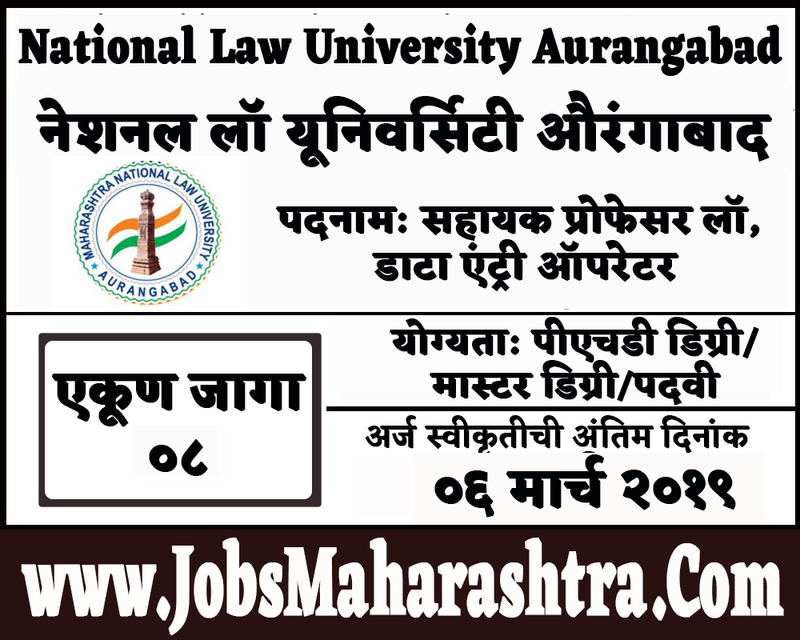 National Law University inviting applications for teaching & non teaching posts. Interested candidates can apply through by post/by hand on below given departmental address. For more details like age limit, salary, how to apply, selection process please refer the below article. Age Limit:- Maximum age limit is 60 years. Data Entry Operator:- Graduate from a recognized University / Advanced knowledge of Computer applications. Eligible candidates can submit their application by hand/by post on below given address before 06 March 2019. Application form is attached to the departmental advertising PDF given in the important web link section. 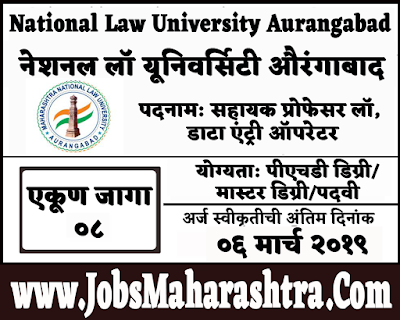 Address: OSD, Maharashtra National Law Uliversity Aurangabad, Govt. B.Ed College Campus, Padampura, Aurangabad-431005 Maharashtra. Candidates will be selected under Interview. Best performing candidates can be selected. No virtual mode of interview.